Summer is perhaps one of the toughest months for hair. The sun constantly bears its heat down on your scalp, drying it from the roots down and brittling it, sometimes with more than disappointing results. 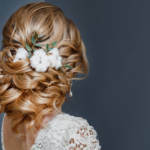 It’s during this time of year you’ll want to be the most invested in maintaining quality hair care because heat damage is one of the easiest and most common ways to harm your hair. 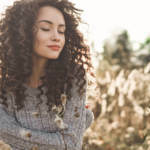 We have gathered some tips on how to keep your hair as safe as possible over the summer without having to rely too heavily on hair care products. Lighten Up Your Brushing Routine! This tip goes for managing wet hair. Wet hair breaks easily, which can lead to all kinds of damage, especially if you’re using tools that are naturally more rigorous on your hair. If you’re about to detangle, you don’t want to use anything that will tug on your hair too much. Wide toothed combs are the best solution for your detangling routine. They’re less likely to yank on your tangles and cause damage. Plant-based oils, such as avocado and coconut, are the most nourishing for your hair because they’re the easiest for your strands to absorb. After you finish your first shampooing, take some oil and apply it thoroughly to your hair. After rinsing, you can then carry on with the rest of your washing routine and apply conditioner. This method will trap valuable moisture into your hair, which will keep it from becoming too brittle from all the summer heat. This treatment best works in combination with sulfate free shampoo and conditioner, which also preserves hair moisture. Quality hair care is an absolute must this summer. The biggest downside to going to the pool is the havoc it wreaks upon your hair. 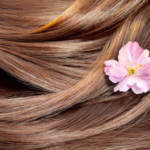 Anyone with lighter hair colors will find their locks marred with hideous green streaks that are difficult to remove. If this has happened to you, we have a solution! Prior to taking a swim, wet your hair thoroughly. This will prevent so much chlorine from entering the strands. Once you’re done, use two cups’ worth of plain water and one-quarter of a cup of apple cider vinegar to rinse your hair while it’s still wet. Problem solved! While washing your hair makes for great hygienic practices, it harms your hair by removing too much of the natural oils it needs to remain healthy and protected. Rather than washing every time you shower, try dry shampoos and performing a simple shower rinse to take care of any oiliness. Only wash your hair enough to keep it from getting too grungy and be sure to take advantage of leave in conditioner when you do decide to wash. Your hair will thank you! We hope this guide will help you keep your hair safe and happy this summer! Contact us to learn other tips to protect and maintain your hair.